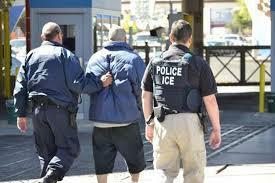 How closely should local jails work with federal immigration officials? That’s an issue that lawmakers are debating in Richmond. When your local sheriff releases undocumented inmates from jail, should sheriff’s deputies call federal immigration officials? Republican Delegate Charles Poindexter of Franklin County has a bill that would require Virginia sheriffs to notify ICE. The bill has already passed the House and a Senate panel, which means it’s headed to Senate floor and potentially the governor’s desk. Across Virginia, local taxpayers are paying for federal immigration enforcement. That's the finding of a new analysis by the Commonwealth Institute for Fiscal Analysis.